We had a blast at the TMC Trailers Trucking Industry Show! 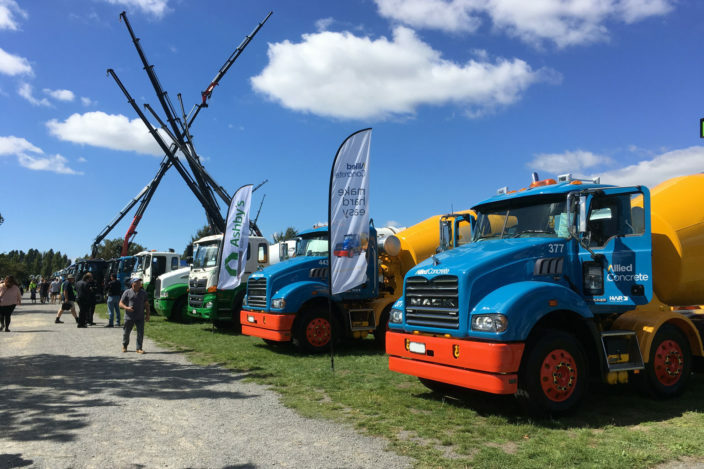 We had an absolute blast at lasts week’s TMC Trailers Trucking Industry Show held at the Christchurch A&P Showgrounds on Curletts Road (9th and 10th March). Organised by the NZ Trucking Association, the three-day Trucking Industry Show is a fantastic opportunity for operators and owner drivers to showcase their prized machines, meanwhile allowing them to catch-up with industry service providers and suppliers. We were fortunate to team up with Blackwells Holden to display the 2018 Holden Commodore having arrived from Germany earlier in the week. Thanks Blackwells and NZ Trucking Association for a great few days!